If you've picked up an Amazon Echo device with Alexa, you might be wondering how to stream your music from iTunes since, thanks to the iPod years, many of us have amassed quite a collection. Good news: You don't need to leave that collection behind. Whether you want to play iTunes music that you've purchased or stream your Apple Music subscription, we've got you covered. If you've jumped onboard the music service streaming train, you may have opted to use Apple Music to get your favorite tunes. Luckily, Amazon and Apple have designed their services to work together seamlessly. If you have an Amazon Echo device, use these steps to setup Apple Music within the Alexa app on your Android or iOS device. This tutorial assumes that you have already set up your Amazon Alexa device. If you have yet to set up your device, check out our tutorial to simplify the process. Open the Alexa app on your smartphone. If you don't have it yet, here's the Alexa app for iOS and here's the Alexa app for Android. Select the Settings option, then Music. Select the Link New Service (+) option. Select Apple Music from the service options, then log in with your Apple username and password. When finished, select the Done button. To set Apple Music as the default streaming service, scroll down to the bottom of the Music settings menu in the Alexa app, select Default Services, then select Apple Music. That's it! Just ask Alexa to play a song, album, artist, or playlist, and it will access your Apple Music library. If you aren't using Apple Music, but still have a backlog of purchased iTunes music on your Mac, PC, or smartphone, you can stream your library of music to an Echo device using a Bluetooth connection. While connecting devices vary from platform to platform, follow these general steps to get your device up and running. 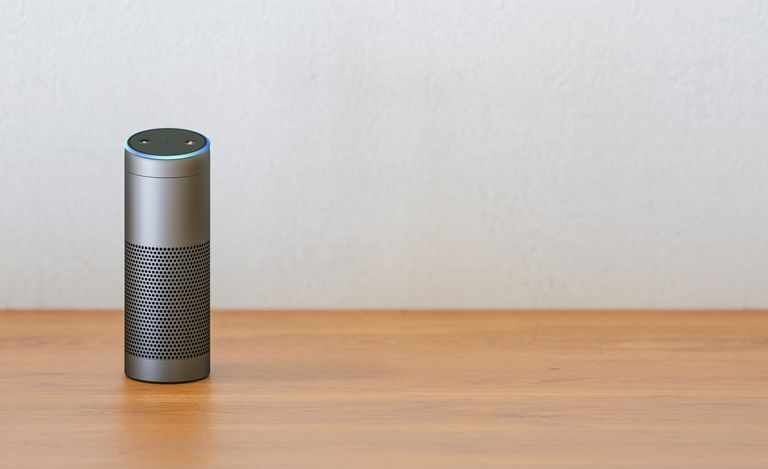 Once your device is set up, you'll be able to have Alexa play music via Bluetooth by simply saying Alexa, connect to my smartphone. Open the Settings option on your PC, Mac, or smartphone, and navigate to the Bluetooth option — ensure it is switched on. Tell Alexa to Connect to a new Bluetooth device. From your device, click on the Echo option once it appears in the device list to establish a connection. The echo device name may be followed by a random collection of letters and numbers — this is normal. Any content you start playing through your device, including your iTunes library, will now stream to Alexa. To have Alexa disconnect from your device simply say Alexa, disconnect from my device. While not the most convenient option, you can opt to upload your existing iTunes files into the Amazon Music cloud for easy playback. To follow this method and upload your music to Amazon's cloud you must be a paid Amazon Music Storage customer as noted below. If you are already subscribed to Amazon Music, follow the steps below to upload your iTunes music. Otherwise, you may want to simply consider obtaining an Apple Music streaming subscription which will run you a similar monthly cost. If you purchased your iTunes music before 2009, there is a good chance it is locked to the iTunes player and unavailable for access outside of Apple's ecosystem. If this is the case, you can unlock your music using one of these recommended pieces of software. Download the Amazon Music app for PC or Mac. Once installed, open the application and login with your Amazon credentials. Select the My Music option at the top of the screen. Now, select the Songs option, and then the Offline filter in the right sidebar. Click the upload icon, then select your iTunes music to upload to Amazon Music. That's it. Simply ask Alexa to play your favorite tunes and it will pull any needed music from the Amazon Music cloud. Another option for streaming your existing media files from iTunes to your Amazon Echo device include setting up a media server such as Plex. Some network attached storage options such as the WD My Cloud and additional offerings by Drobo, Synology, and Seagate, offer built-in Plex servers. If you are looking to set up a Plex server on your Mac or PC, you can follow this detailed tutorial to complete the task. Once your Plex server is ready, enable Plex with your Alexa device.